Notes: The Castello di Monte Ursino is situated in a dominant position on a hill from which it takes its name, in defense of the historic center of Noli, in the province of Savona.Around the tenth century many towns that rose on the coast moved on the hills, less unhealthy and more easily defensible. So did Noli which was destroyed by fire around 900, it was rebuilt on the hill of Monte Ursino, overlooking the sea, and already in 1004 is mentioned in a document called a fortified village. After the construction of the first tower on the top of the hill, the fort was enlarged and strengthen it repeatedly until it reached its present form around the fifteenth century, even embracing the infant village in the plain, current center, and was gradually abandoned in the hill. Proponents of this medieval military structure were especially the Del Carretto, feudal lords of Noli. 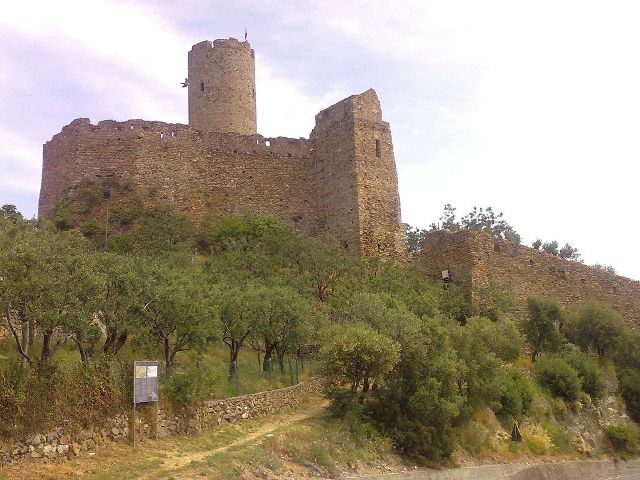 The castle was able to control both the sea and the coast through the old Roman road on a hill in the village of Voze, and used until the eighteenth century.